By law, as a landlord you are allowed to charge your tenants a security deposit, and most landlords do this. The most that you can charge for any security deposit is the total of two month's rent for an unfurnished property, or three month's rent for a furnished property. Most landlords tend to charge between one and two month’s rent. It’s quite normal for the security deposit to be added to the first month’s rent and paid in advance. Do I Have to Refund a Deposit? Security deposits are just as they sound, a deposit, and are refundable at the end of a tenancy. Under certain circumstances, though, a landlord can keep all or part of the deposit to offset against and unpaid or outstanding rent; having the property cleaned after a tenant has moved out, if they have left it in a mess; repairs that may be needed to cover any damage caused by tenants or replacing any items that were provided at the beginning of the tenancy but have been damaged or lost. You should arrange for what’s left of the deposit, or all of it, to be refunded back to the tenant after they have moved out. If you do decide to keep some or all of the security deposit, you will need to provide the ex-tenant with an itemised statement that gives a complete list of the amounts retained, and the reasons for doing. In some cases, some of the deposit can be kept back to cover any unpaid utility bills the tenant has left on the property - but this would need to have been set out in the rental agreement. Make sure that the rental agreement sets out how much of a security deposit you received from your tenant, in case there are any disputes regarding payments in the future. 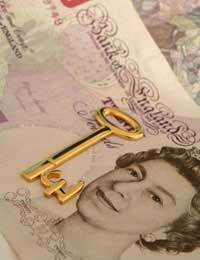 Tenancy deposits (security deposits) must be protected by law, so that tenants are not faced with losing their money if you can’t repay it, or if a letting agent goes out of business. The scheme also offers a way of resolving any disputes that come about as a result of a security deposit. The law now says that when a landlord takes a deposit (which includes the security deposit) it must be protected in by an authorised tenancy deposit scheme, if the tenancy in question is an assured shorthold tenancy. What Types of Schemes Are There? Landlords and letting agents can choose to protect their tenants’ deposits in a range of different schemes.Custodial schemes: In a custodial scheme, the tenant’s deposit is simply held until the end of the tenancy, and repaid if there are no disputes. This is a free scheme and there is only one provider. Insurance-based schemes: If you opt for an insurance scheme, you get to keep the security deposit and you just pay into an insurance policy which provides insurance should you go out of business and be unable to repay the deposit. Tenants have a responsibility to make sure that the property is in as good a condition when they move out as it was when they moved into it - subject to normal/fair wear and tear - so that when the tenancy comes to an end, you as a landlord are entitled to check the condition and contents of the property against the checklist or itinerary that you both signed at the start of the tenancy. If all is well, the full amount should be returned to the tenant. If you can’t come to an agreement about how much of the deposit should be returned, tenancy deposit schemes also offer a free service to help resolve disputes.